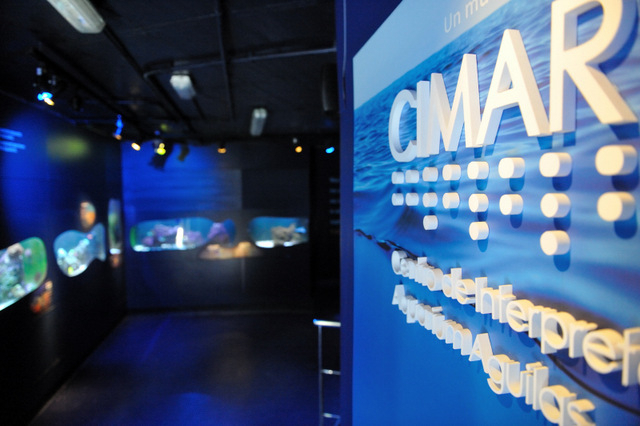 The CIMAR (Centro de Interpretación del Mar) centre in Águilas was opened in the spring of 2014 as part of a campaign to promote the attractions of the town through its historical and current links with the sea and with fishing, and proved an instant success with both locals and visitors to the Costa Cálida. 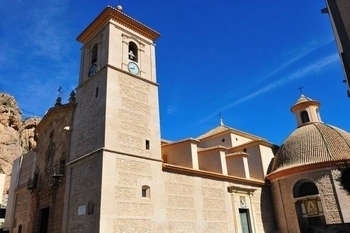 It is a welcome addition to the list of potential visits and activities during a tour of the town, with a full visit taking no more than an hour and providing interesting insights into the town itself and the marine life which exists in this part of the Mediterranean. 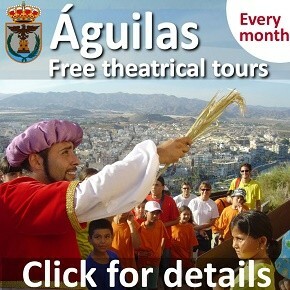 Its also a good place to take children as it's educative as well as entertaining. 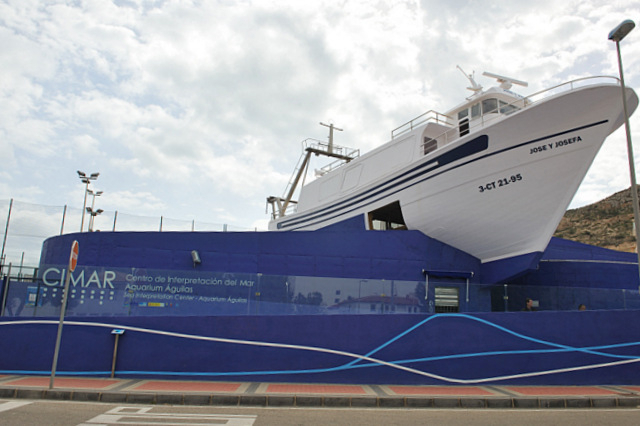 The CIMAR consists of three visiting areas, the most visible of which from the outside is a 19-metre trawler which was donated to the Town Hall specifically to form part of the Centre. Rather unusually it is perched at the top of the complex, looking a little as though it has been washed inland by a giant tidal wave, making the CIMAR instantly identifiable in photographs. This vessel provides some idea of the significance of fishing in the history of Águilas: the town grew in the late nineteenth century as a trading port, exporting the minerals mined in the mountains of Almería and Murcia, but the settlement existed well over 2,000 years ago, and was of importance to the Romans due to the salted fish and garum sauce which was exported all over the Empire. 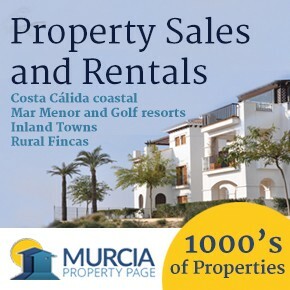 Before the arrival of the railway and the industrial age, fishing was the pillar on which the modest local economy was based, and even today the Águilas fleet is an important part of the town’s identity. 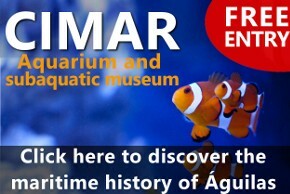 The second part of the CIMAR is the aquarium, which houses a variety of marine species, most of which are native to the waters of the western Mediterranean. 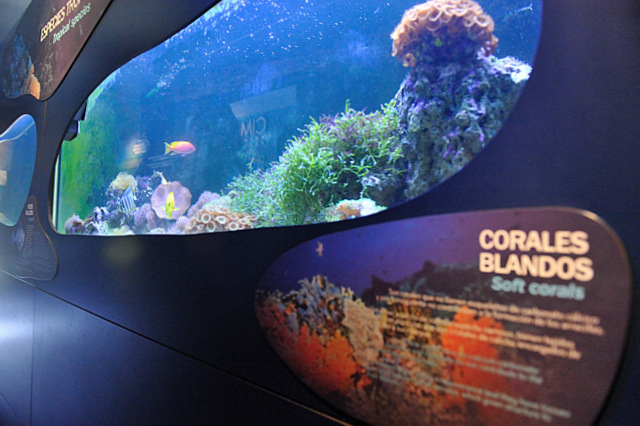 However, the first tanks seen by visitors contain species which normally live in tropical waters, such as the predatory triggerfish, angel fish, cardinal fish, soft and stony corals and the clownfish (a species made popular by the film Finding Nemo). These tropical species are the most colourful on display, but the assortment of Mediterranean marine fauna is no less interesting. 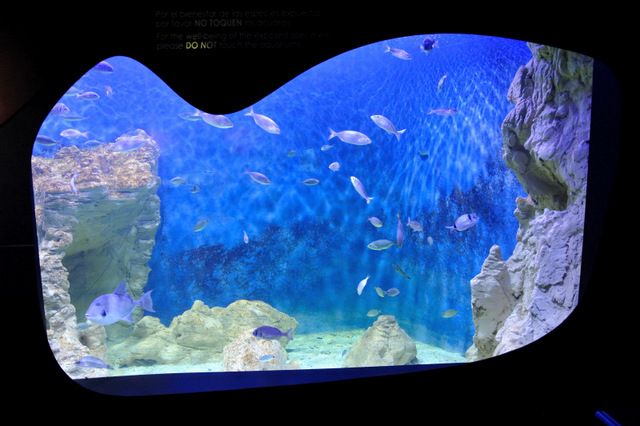 The species which can be seen in the tanks, which are maintained at a temperature of approximately 20ºC (as opposed to 24ºC for the tropical fish), include moray and conger eels, sea bream and a large round Plectorinchus mediterraneus, known locally as a “pez burro” (or donkey fish!). This specimen, like most of the Mediterranean species in the CIMAR aquarium, was caught by local fishermen and donated to the Centre. Many of these species live in coastal waters, but further offshore at depths of up to 30 metres there are more predators, including combers. 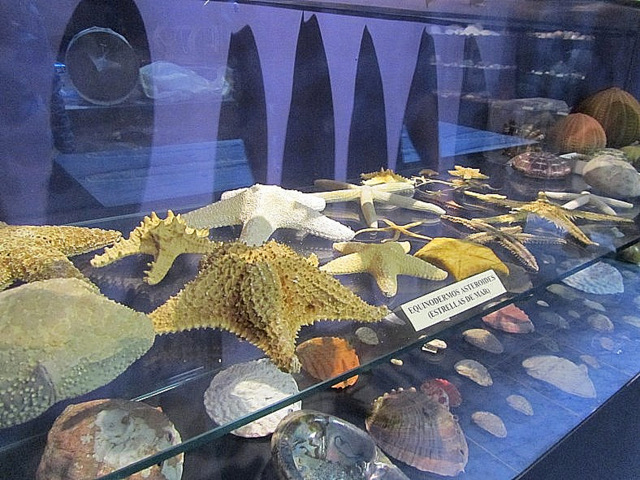 The final part of the visit to the CIMAR in Águilas is a museum-style exhibition area, which contains an extraordinary collection of shells compiled by a local dentist named Pedro Bayona Orts. 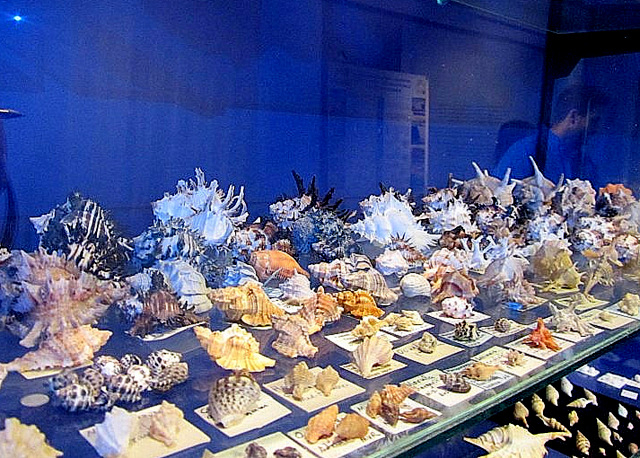 This is said to be one of the largest private seashell collections in Europe, and although the most eye-catching items on display are the largest, a fascinating variety of shapes and colours can be admired. One of the most interesting species included is the spectacular nautilus, and starfish and hundreds of others are also in the glass cases. 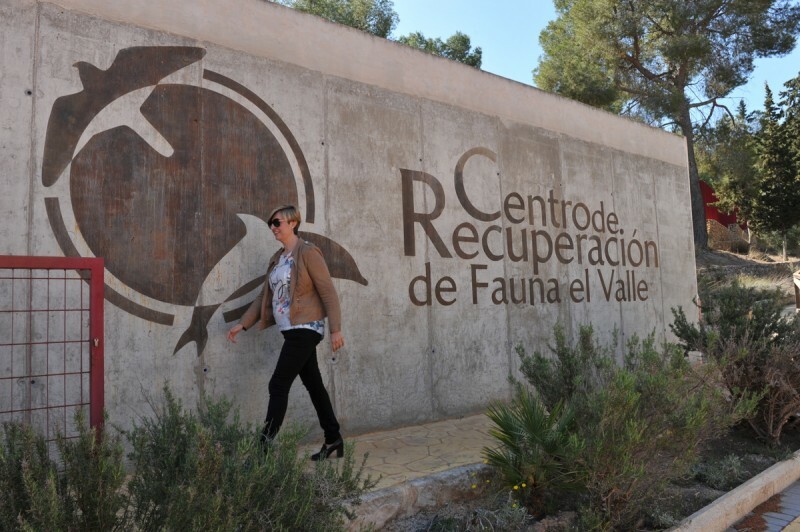 This part of the CIMAR is not devoted only to marine fauna, though: there are also artefacts from the fishing tradition of Águilas, including glass buoys and various other implements and instruments used by fishermen in the past. Some of the main fishing techniques are explained via the use of models and information boards, and the interior of an old fisherman’s cottage from the first half of the 20th century is recreated to show the simple conditions in which the locals of Águilas lived only a couple of generations ago. Of course some of these rudimentary houses still exist in the town, but they are now few and far between. 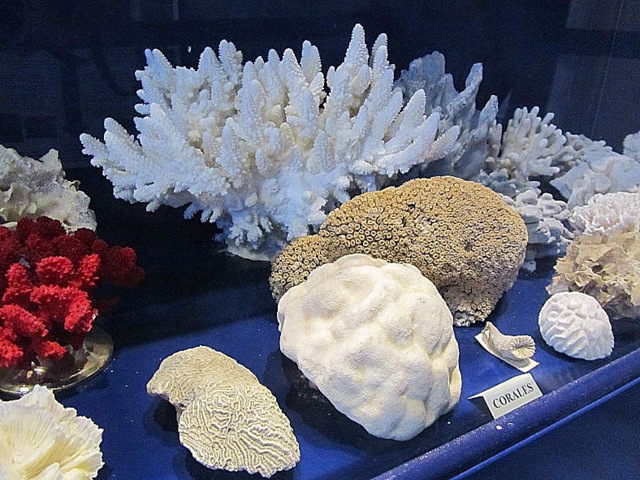 A selection of hand-crafted objects such as baskets and nets are also on display, and there are explanations of the different types of sea bed which can be found in this part of the Mediterranean: this is of particular interest to the divers who come to this part of the Costa Cálida, with the varied rock formations and marine ecosystems being complemented in Águilas by artificial reefs. These not only help to protect certain species, but provide an attractive diving environment for visitors all year round. 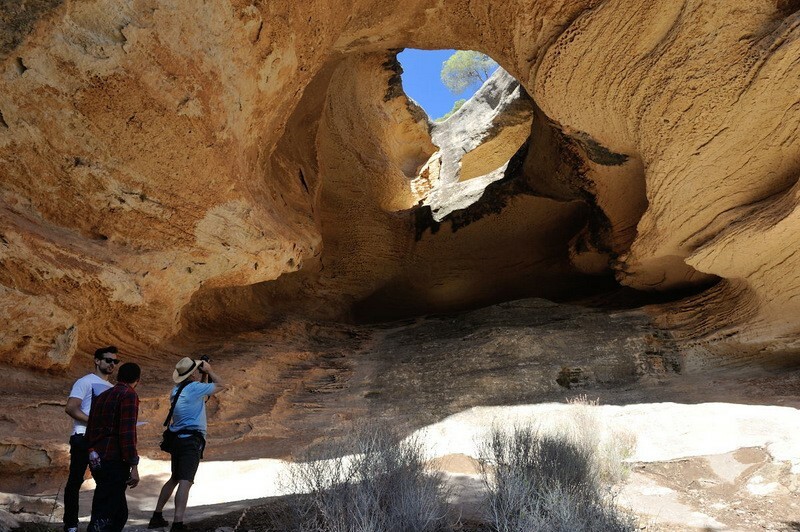 There is no cafeteria at the Centre, but there are soft drinks dispenser machines, toilets and a seating area for those who need a rest before continuing their tour of the sights of Águilas. Quite possibly the next stop could be the fabulous garden of the Rincón del Hornillo, with its Gaudí-style ceramic mosaics, which is just a couple of minutes’ walk away! 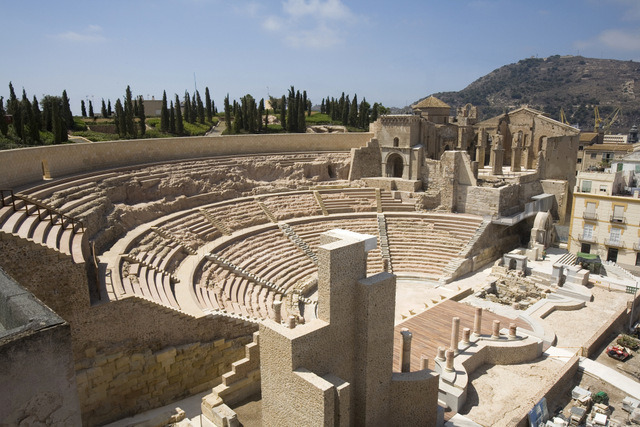 A complete visit to the CIMAR in Águilas lasts no longer than an hour, and is certainly an interesting part of any trip to the town. Access is possible for visitors of limited mobility to all parts of the centre except the trawler, and guided tours can be arranged (in English if required) by prior arrangement for groups of ten or more (telephone 670 307818). 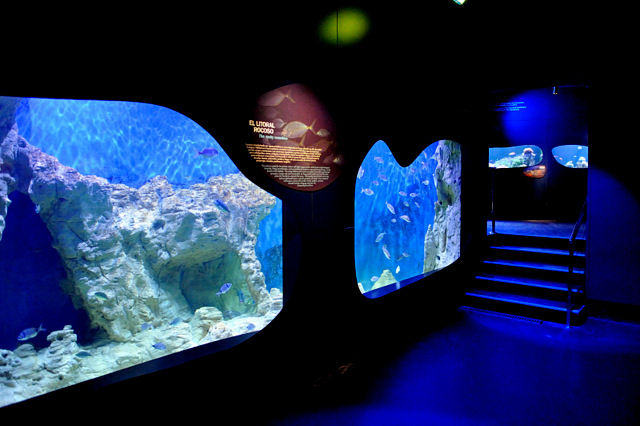 These tours are given by the friendly and helpful biologists who are in charge of maintaining the aquarium, and are available during the centre’s opening hours. 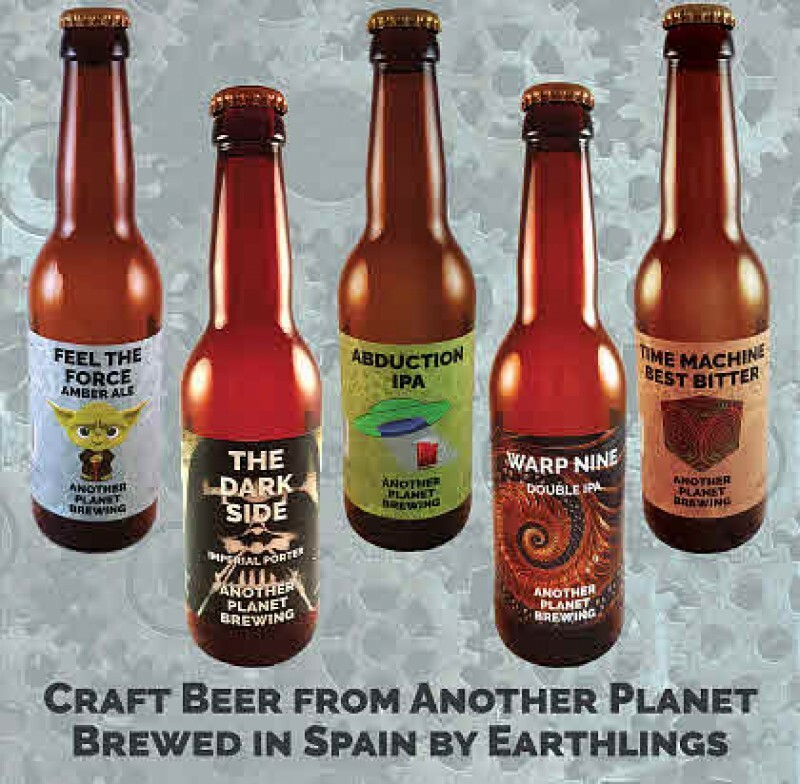 Where is the CIMAR in Águilas? 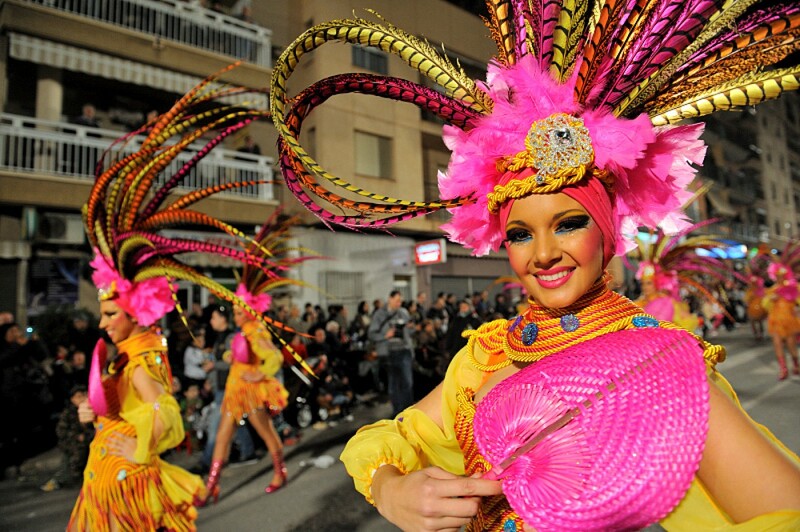 The Centro de Interpretación del Mar in Águilas is located at the eastern end of the town, on Avenida Dr Barnard, on the headland which stands between the Bahía de Levante and the Bahía del Hornillo. 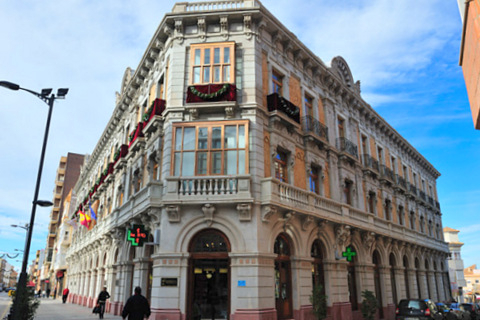 The Centre is just a hundred metres or so from the Auditorio Infanta Doña Elena.